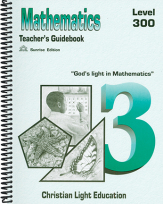 These answer keys are optional if the Teacher's Guide is purchased. Sunrise edition. Recommended for teaching this course. 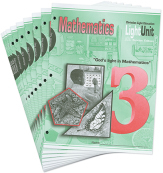 Has day-by-day instructions for lesson plans and tells what is new. 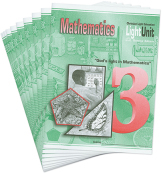 Contains a reproduction of each LightUnit with answers. 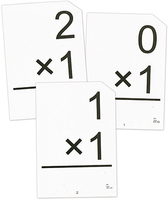 These (3.5" x 5") cards contain all the multiplication and division flash card combinations for 0-12. 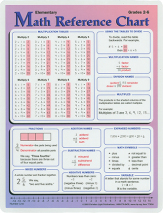 The reverse side of each multiplication fact is the opposite division fact. These cards are not coded like the addition/subtraction flash cards.